DOFF Growmore is a traditional, general purpose plant food that is perfectly balanced for use all around the garden. Supplies the three major plant nutrients in equal measure. 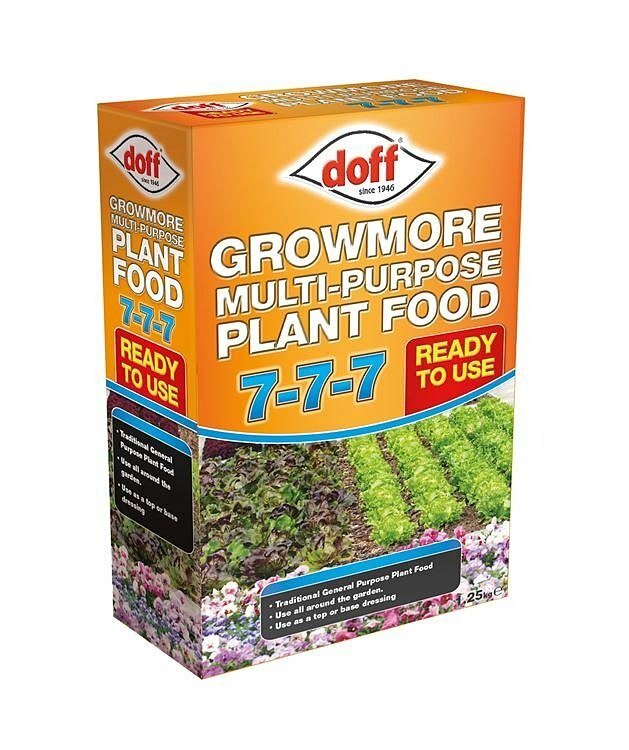 Can be applied as a top or base dressing to a wide variety of crops and ornamentals. Boosts fruit and vegetable crops by building soil fertility.